Capital Self-Storage, located in the ACT, has been established for over 25 years. One of the very first sites in Australia ever to computerise with Mini Storage Plus (DOS) and they have always used the latest technology to deliver management for their business. Capital was one of the very first companies to embrace StorMan and the StorMan MultiView product. This product served them well for 10 years. With the advent of management change and an investor with public company ownership, a review was conducted over all operational systems of the business. In the end, SiteLink Web Edition stood as the software of choice. The process to convert the entire group to SiteLink was a staged process over six months to maximise knowledge of the new product and to manage the change from within the business. A number of business processes had to be reviewed and rewritten in order to deal with the change from one software brand to another. Centreforce Technology was an integral part in this process. Instrumental in completing the data conversions, Centreforce trained staff, worked with management of Capital, and updated the web site to integrate new features. Capital was the first in Australia to integrate the process of online inquiry, invoicing, reservations, online real time bookings and payments. Some stores have simple online payments, but Capital wanted more for its tenants: full online account management. Capital Self Storage Philip Branch also features a U – Pay terminal provided by Centreforce , allowing customers to pay their accounts by credit card at the store without a manager’s assistance. The U-Pay terminal is most handy at busy times because it frees up staff to handle sales inquiries. The U-Pay terminal automates the administrative task of payments. More efficient managers translate into more rentals. Administration of the Capital Self Storage group is handled by a management company – Capital Storage Services Pty Ltd, with staff in Sydney and Newcastle. All management staff has access to the Corporate Control Centre, with clear visibility of all sites and consolidated reporting in real time. The real-time dashboard alerts management to when staff are on site, right down to an hourly activity of each staff member remotely. Corporate promotions are managed by this method. The cost savings have been demonstrated with no further reliance on the Windows 2003 server that was used to administrate the business, saving thousands of dollars per year. The integration to the website has been credited partially for increased growth of the group and growth in revenue during the coldest months of the year, reversing the trend plaguing many other Self Storage operations. 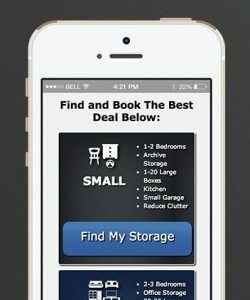 Capital Self Storage Managers access other sites anytime to relieve staff easily. The site was launched in February 2011 with immediate success, with the first move in some 18 minutes after launch. “SiteLink’s Web based software is similar to an airline reservation system and our storer’s can book or rent a space and interact with the company’s online data base to obtain assistance, obtain payment history and print invoices. This is a major upgrade of our online presence and concludes the change to SiteLink Web Edition required to achieve the upgrade” Ian Oliver, Director said. Storage customers can now book and pay for Storage on line via the new feature’s added recently to Capital Self Storage’s Web site www.capitalelfstorage.com.au. “The internet is proving to be a popular way for people to shop for storage- we have had a great response to our new system. The new Web bookings page helps us to reduce the time it takes to respond to customers.” Oliver added. It’s the future.